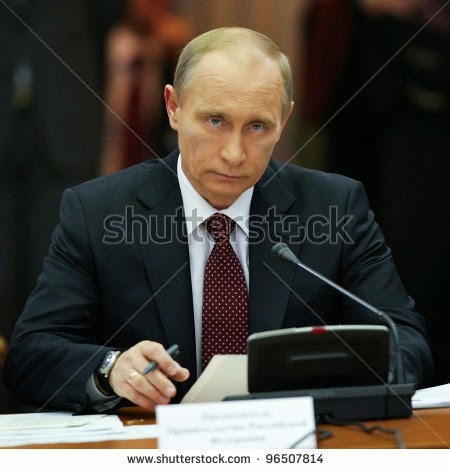 "Russian President Vladimir Putin is a relative of all royal families of Europe. The research, which was done by journalists from the Russian city of Tver, became a sensation as it became known that he came from the Kalininsky area of the Tver region. The President's family tree is not traced (further back than) Putin's grandfather, Spiridon Putin, who left the Tver region for St. Petersburg at the age of fifteen. "Spiridon was a serous, reserved man of immaculate honesty." He became a good cook and worked in fancy restaurants in St. Petersburg before the 1917 Revolution. When Lenin passed away, Spiridon Putin started working at one of Stalin's dachas. He managed to survive this horrid period of Russian history. The researchers did not manage to trace the origin of the surname, Putin; nothing is found about the name. But Vladimir Putin looks very much like Prince Mikhail Tverskoy......... and it is mused, is Putin an offspring of the Tver prince? There was more but you get the idea. Here in America when a man runs for office, everybody digs into his family, his history and his genealogy. Usually the good folks at the Family History Library in Salt Lake compile a book on his ancestry. Apparently not so in Russia. Did you find this bit interesting? Let me know. 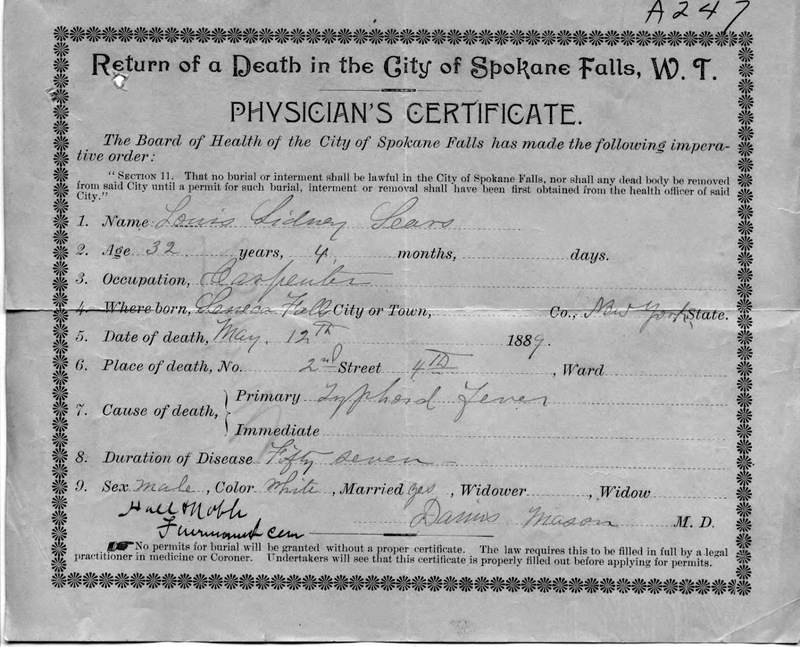 The book of extracted Smith Funeral Home records shows the death of Lewis Sidney Sears, and has an entry for his wife, "Mattie E., b. Washington, d/o J.D. Knight and Nancy Zink; d. 19 May 1905, age 34, buried in Lewiston, Idaho." 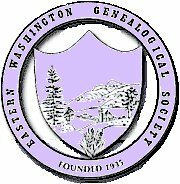 Checking with friends in the Twin Rivers Genealogy Society in Lewiston, I learned that Mattie E., born 21 May 1871, died May 1905, was cremated and her cremains are with those of Mildred B. Norman in the Masonic Section of Normal Hill Cemetery in Lewiston. Checking the 1900 census for Spokane, I did not find the widow and child. And they were not in Lewiston in 1900. Trying the 1880 census, I found a Louis Sears, age 23, born New York (both fit), single, railroad laborer, and living in a boarding house in Grantsburg, Burnett, Wisconsin. Is this him? Louis and Mattie/Mary must have married? But where? And when? He died of typhoid fever on the same day in Spokane that his daughter, "Little Lew," was born, 12 May 1889. The little girl died about 18 months later on 26 December 1890. While there certainly is a tombstone for Little Lew, the cemetery office has no official record of her. And why did the mother Mattie E. (Little Lew's stone says M.A.) end up being cremated in Lewiston, Idaho? I used to live near Fairmount Cemetery (far west end of Wellesley Avenue in Spokane). It is peaceful, there are no cars or dogs, and there is no trash to distract thinking. And I love to read all the tombstones and to imagine the stories. In my imagination I wondered what had happened? Little Lew was born the same day her father died. Was there a buggy accident? And there was no stone for mother, M.A. Sears. The certificate states that he was a carpenter, born in Seneca Falls, New York, and died of typhoid fever. The duration of the disease is noted to be "fifty seven." Fifty-seven what? Hours? Days? EWGS Spring Seminar A Success! 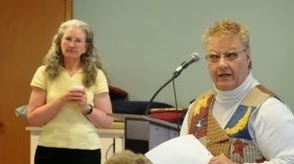 For those 70-some EWGS members and guests, our Spring Seminar on April 5th with Leslie Lawson was a great learning time. Shirley Penna-Oakes arranged for Leslie to come and introduced her to us. Leslie then taught us some great points on Newspaper Research, Cemetery Research, Going Onsite to Research, and Locating People in the Last Century. 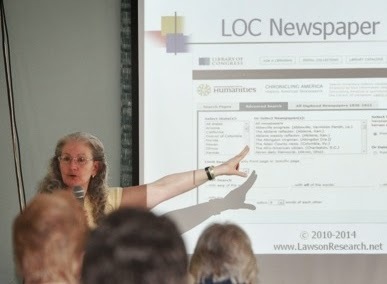 Leslie explained that her website has her ToolBox wherein she has posted "thousands" of helpful links that she uses and freely shares with us. 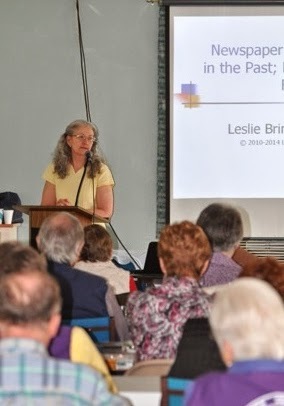 Leslie is a forensic genealogist which means she does most of her work on cases that have legal implications. She told us some fabulous stories from her solved cases. Mary Holcomb and her committee coordinated the pot luck items and the food was delicious and abundant.... Diane Boyd brought four dozen Krispy Kreme donuts!! Many wanted the recipes and Mary will coordinate this project.......... send your recipe to her at mkholcomb@live.net . Folks came from Anchorage, Alaska (she is moving here), Colville, Athol, Ritzville, Deer Park, and Sandpoint. Those who made the effort to attend were richly rewarded. HistoryLink.org ........... do you know about this website? 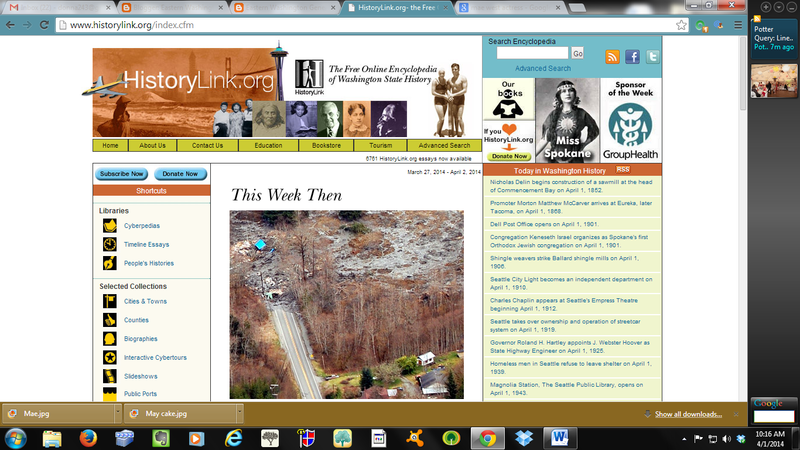 This is a screen shot of www.historylink.org which is "the free online encyclopedia of Washington state history." This week they're showing pictures and information about the mudslide over near Oso and Darrington, Washington. The website has a search feature where you can type in your request. When you click to the website, click first to About Us to read the explanation of why and what the site is and offers. Picking something from my mind, I asked for "Pinkneyville" and learned that on December 1, 1859, a post office was established at a "raw frontier town that had sprung up near the military post of Fort Colville." The town lasted until 1893. I understand that the site and the town morphed into the present town of Colville. 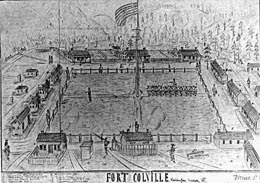 From the HistoryLink website, here is a soldier's drawing of old Fort Colville. While you might be saying, "I would not be interested in this website because I do not have early Washington ancestors." But I submit to you that since we live here that we ought to be aware of our history for our own self-gratification and to help others from elsewhere who do have and are researching their Washington ancestors. Check out HistoryLink.org........... you may have an enjoyable hour clicking here and there on the website.